Tracey was an absolute Angel to us when we recently lost our 9 month old rescue dog/fur child, Boomer. He slipped out of my grip while on a walk and ran away, crossing a busy highway and running deep into the woods. We were devastated and didn’t know where to start in our quest to find our pup. I called local shelters and the rescue from which we adopted Boomer, and they all gave the same recommendation… “Call Tracey from Luzerne County Pet Recovery… she will get your dog back!”. I messaged her on Facebook and promptly got a reply directing us on where to go next. Throughout the entire process she was supportive, kind and patient. She answered all of my questions and comforted me the best she could. She came to our home, helped us make flyers, showed us where to concentrate our efforts and helped us hand them out. Then she took us into the woods for a “controlled search” to find Boomer. 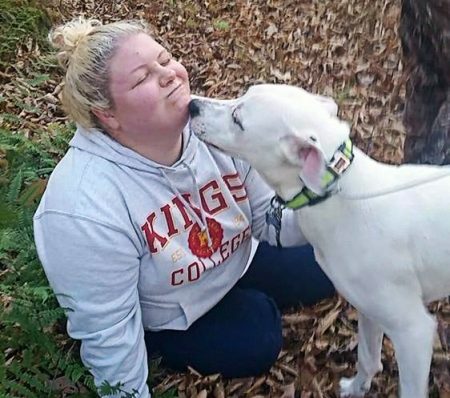 Within 35 minutes of looking, she had called my cell phone to tell me that she had found my dog… her instincts brought her straight to him (deep in the woods from which she had never stepped foot in before)!!!! Her expertise and knowledge about missing and lost animals is unparalleled. My advice to anyone out there in search of a missing fur baby is to call Tracey, but MOST IMPORTANTLY, TRUST HER ADVICE!!!! She knows what she is doing. Thank you Tracey and Jeff for bringing Boomer home. You will forever have a very special place in my family’s hearts. 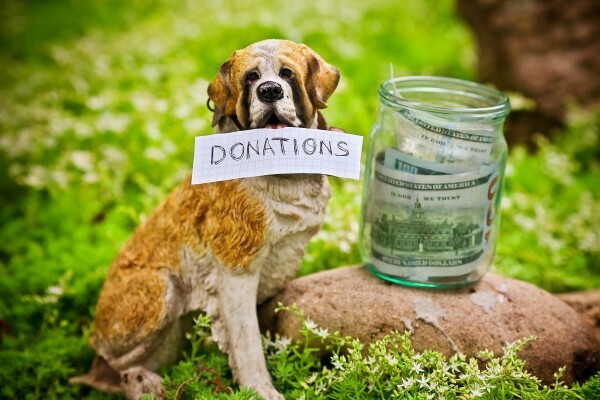 There are no charges for our services, but we do incur a lot of out of pocket expenses for every rescue. We are always grateful for donations either monetary or equipment. Some of our expenses include purchasing trail cameras, camera cards, batteries, food and supplies for the lost animal, humane traps, fuel…etc. Please help us get more pets home by supporting our recovery efforts. Thank you for your consideration. If you would like to donate visit our Donations Page for more information.